The “LET’S HAVE CHURCH!! 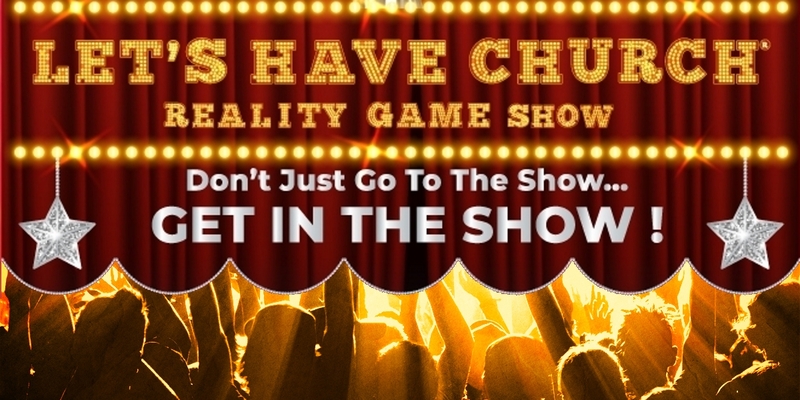 !”® Reality Game Show is interactive family entertainment at its finest. Hosted by 96.3 FM The Light’s very own Randy Myers, it’s the perfect Saturday afternoon event that boasts Good LAUGHS, Great FOOD, and Grand PRIZES! This 90-minute audience participation show is comprised of hilarious ‘Trivia’, ‘Performance’, ‘Bible vs. Church Folks’, and Bonus Rounds. Whether audience members choose to participate in the game show or simply watch, everybody wins something. Grand prizes are sponsored by Triad area local businesses. Tickets move fast for this show! Randy Myers is the weekend host of “LET’S HAVE CHURCH!! !”® the Triads own Live Radio Game Show, featuring Hilarious Bible & ‘Church Folks’ Trivia, special celebrity guest, grand prizes, gospel music, and a myriad of comedic anecdotes & sound effects. A thirty year personal relationship with Jesus Christ has taught Randy the reality that a cheerful heart does good like a medicine. As a radio personality, church leader, entrepreneur, and lover of people everywhere, Randy has a gift for inspiring audiences of all ages in ways that they see can with their eyes, and feel with their hearts.